CANADA ARE YOU READY FOR LUCENZO? For Immediate Release: May, 9th 2011. Toronto, ON – Latin Billboard award winning artist Lucenzo is taking the world by storm and is slated to be making his first trip to Canada for a mini-promo tour this month. Lucenzo released his debut single in 2008, a French/multilingual Reggae/Reggaeton song entitled “Emigrante del mundo”. The song became a French radio hit, reaching #1 on Radio Latina and stayed in the Top Five on the station for 42 weeks. It was followed in 2009 by “Dame Reggaeton”, which also became a number one hit on Radio Latina. What made the public go crazy for Lucenzo is his bilingual English/Portuguese dance hit “Vem Dançar Kuduro” the original , created by Lucenzo himself. Kuduro being originally an Angolan type of music popular in Portugal. The single reached #2 in the French Top 50 charts (based solely on actual sales of singles) and #1 on the French Club 40 charts (based on actual plays in 80 discos in France). It was also a Top 40 hit in Switzerland, reaching #31. 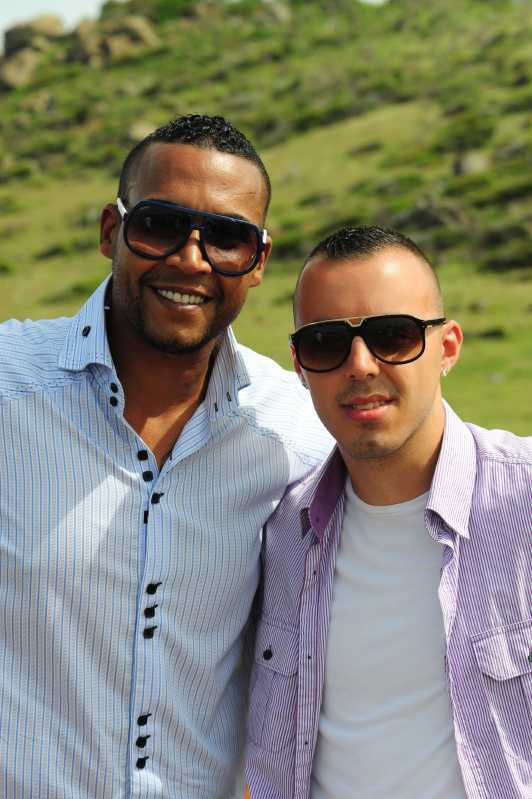 An alternative Spanish version by Don Omar with Lucenzo was released on 15 August 2010, entitled “Danza Kuduro” which hit #1 on the Latin Billboard Chart and winning an Billboard “Latin rhythm award for Airplay song of the year”. The accompanying music video was released on 17 August. It is also featured on Don Omar’s compilation album Meet the Orphans. Danza Kuduru is featured on the “Fast and Five” movie soundtrack. Since then the song has taken on a life of it’s own with 138 Million hits on You Tube, gaining the attention of such well known artists as Daddy Yankee and Pitbull whom have also made re-mixes of this hit song. Lucenzo is…Filipe Oliveira; Author, Composer, Singer of French and Portuguese descent, who is passionate about music and wants the world to share this infatuation with him. Together, with his well known Executive Producer Faouze Barkati of Yanis Records France an International buzz has been created with many new exciting projects and collaborations already in the works with top “Mainstream Artists” for 2011-2012. May 14th, LUXY Nightclub – 60 Interchange Way, Woodbridge ON. May 19th , LIVE Toronto – 332 Richmond St. West, Toronto ON. BUY TICKETS $20 ADV. May 21st , FUZZY Laval – 1600 Boulevard St-Martin Est, Laval, QC.